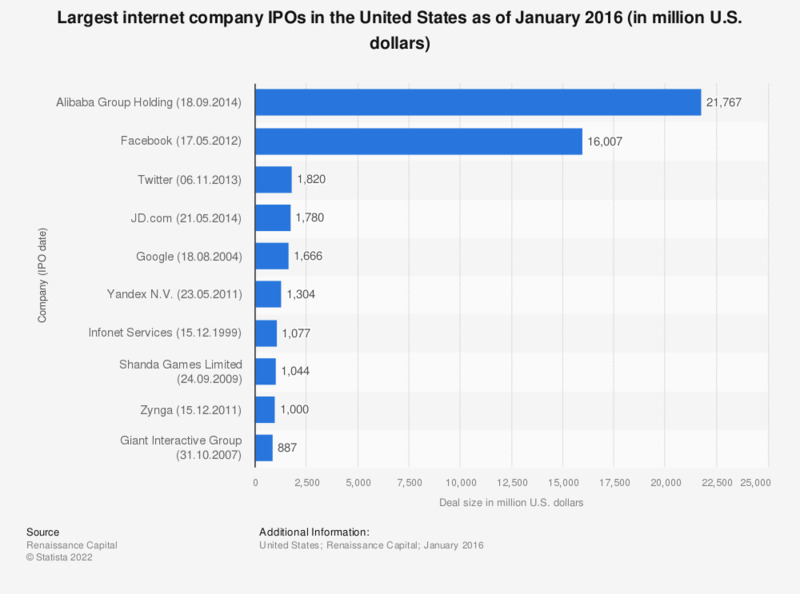 The statistic shows the largest internet IPOs in the United States as of January 2016. IPO stands for initial public offering. It refers to the initial offering of shares in a company on the organized capital market. The IPO of Facebook in May 2012 raised approximately 16 billion U.S. dollars.